As technology advances, the banking industry has largely reached a point where providing access to digital services such as mobile apps or check scanning deposits is no longer a differentiator but rather a basic requirement. 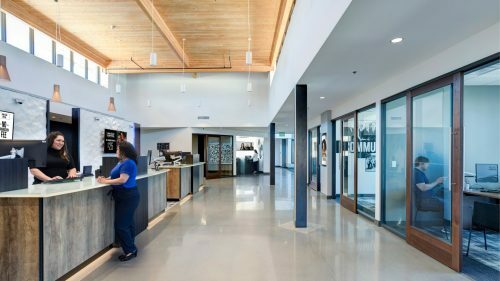 The true differentiator is how seamlessly and effectively a bank or credit union integrates technology into their overall customer experience, experiences that are taking place not only online, but also in the branch. An effective branch technology integration strategy will mobilize and empower branch staff, create a consistent omni-channel experience for customers, engage FinTech users, and protect everyone with current security standards. Let’s take a deeper look at these four areas. 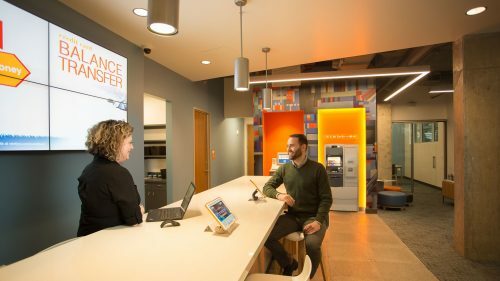 In markets with low transaction volumes and a demand for more consultative services, branch staff are better able to connect with customers when they can move past the physical barriers of teller lines and pods and interact with customer on a more personal basis. But cash drawers, terminals, and paperwork often tie staff to a single location within the branch, reinforcing siloed roles. How can branch staff move about the branch and still deliver services in a convenient and secure manner? Verity Credit Union in Seattle, WA has found one solution: mobile devices and cash handling machines. Verity branch staff carry tablets integrated into the credit union’s banking systems that allow them to provide members with a full range of services anywhere in the branch. 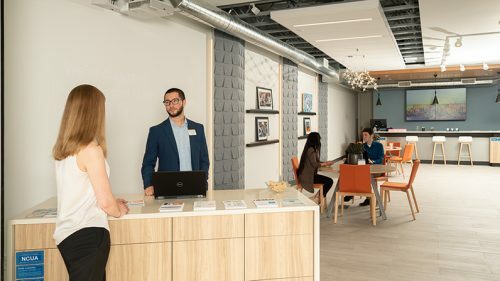 A member can walk in, be greeted by a banking associate, and then sit down with them in the café area to have a conversation, apply for a mortgage loan, get approved, and sign the paperwork right there in a completely seamless experience. This setup also opens up the possibility of delivering banking services out in the community and at events. Cash handling machines located at a central “tool bench” conversation area provide convenience for cash transactions. These machines not only bring these services out from behind a teller line, they also free staff from the time-consuming processes of counting money and cashing out their drawer at the end of a shift. It’s the strategic integration of technology into the member experience, not the technology itself, that enables Verity to provide members with this level of personalized service. As the novelty of new delivery channels wears off and digital interactions become routine, consumers’ expectations for a cohesive experience across all channels are rising. A rapidly increasing number of financial product purchases are begun on a digital platform and completed in a branch. To effectively support these new customer journeys, a financial institution’s various retail channels must be integrated into an omnichannel experience. Here’s what a seamless omnichannel experience might look like: A customer clicks a Facebook ad for a home loan on their phone and is taken to a mobile website or banking app where they prefill part of an application and save it. When they get home, they visit the website on their computer to read more details about the loan and finish the application. They upload the necessary documents but have a few more questions, so they make an appointment on the website for an in-person consultation. When they arrive at the branch the next day, a staff member greets them with their account information and loan application already pulled up on a tablet. To get the most out of these channels, it’s important to integrate them in a way that makes moving from one to another as seamless as possible and to provide a consistent experience both in the look and feel and functionality. This not only improves the customer experience, it also gives organizations an organized and professional appearance and reinforces their brands’ reputations. CHROME Federal Credit Union provides an excellent example of this. CHROME carried out their branch and mobile app redesign projects side by side, creating both a digital extension of their branch services and a cohesive look and feel between digital and physical experiences. Financial institutions have traditionally been at odds with FinTech firms over fear of competition and reluctance to give up control of customer data. But this is changing as more and more financial institutions are looking at FinTech as less of a threat and more of an opportunity. Despite this shift in perception, the biggest roadblock to FinTech innovation is the difficulty for consumers to access their own data and integrate these services into their banking experience. Apps such as Mint or Prism empower consumers to take control of their financial wellbeing by visualizing and planning around every source of income and expense. Venmo gives friends a way to split the bill, and TransferWise offers its customers easy overseas remittance. These are innovative businesses that are quickly changing the way that consumers use their data and interact with their financial institutions, and they have one thing in common: they offer services that most financial institutions either aren’t offering or don’t prioritize. By embracing this shift and empowering customers with easy and secure access to their own data through Open Banking APIs (Application Programming Interface), financial institutions can take advantage of the added value that these FinTech apps offer to their relationship with customers. Breaking down the walled garden of proprietary technology infrastructure with APIs not only allows seamless FinTech integrations, it also helps financial institutions be more integrated and secure. The same API serving Mint with a customer’s financial institution can also serve the branch staff’s tablets with a different authorization level. Many data breeches in recent history have been the result of negligence rather than skilled hacking. Equifax was using obsolete proprietary software on its servers. Target and other retailers failed to address a well-known exploit in POS terminals that allows intruders to read unencrypted payment information in the systems’ memory. Sony’s servers gave up a treasure trove of plain text user data after a visitor entered a simple SQL command into a text box on their public facing website. These specific security flaws were well known for years before these attacks. Implementing a technology integration strategy is a good opportunity to review the security of your organization’s software systems. Is all software up to date, and has proprietary code been updated as programming languages evolve and new vulnerabilities are found? Are passwords and sensitive data securely encrypted? What systems have access to what data, and do they really need access? Are your website and apps using current security standards? Security is critical to a technology integration strategy because making sure systems can talk to each other is only half the battle, the other half is making sure the wrong conversations don’t happen. And it’s not a one-off process; security audits and penetration testing must be performed regularly. Technology integration is bringing about incredible opportunities for banking innovation and providing financial institutions with the tools to build more meaningful relationships with their customers. As consumer interactions continue to involve, organizations that embrace these changes will be better equipped to serve their customers. 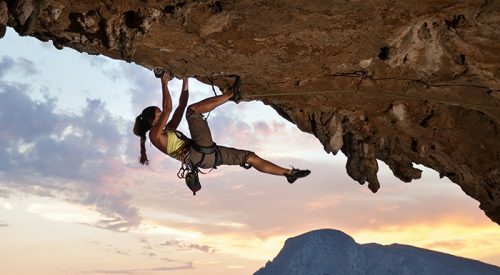 Change can be intimidating, but in many cases it presents more opportunity and less risk than staying the course.